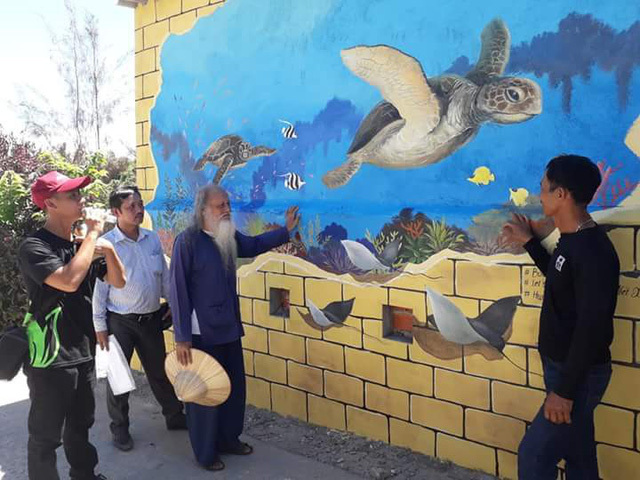 The International Union for Conservation of Nature has completed a mural project to raise awareness about sea turtles in Quang Ngai’s Ly Son Island. 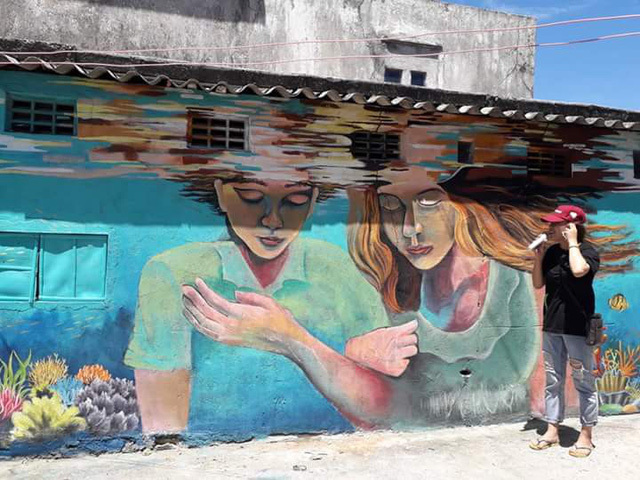 12 murals have been completed on the walls of houses in the Be village of An Binh Commune by August 30. This is also part of the community-based sea turtle protection programme in Vietnam. The locals were also given free paint to renovate their houses and attract more tourists. According to the management board of Ly Son Marine Reserve, sea turtle has disappeared from Ly Son Islands in the past year. In 2013, the border guards stopped a turtle trafficking case. Three years later, many turtles were discovered and released into the sea. 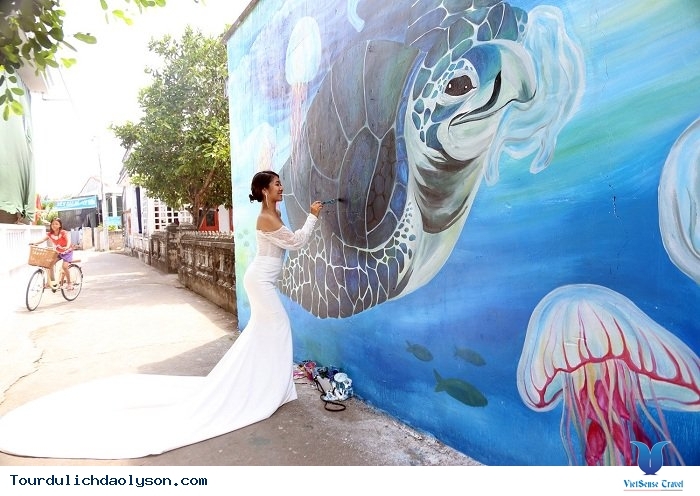 In additional, one of the murals depicts the turtles eating plastic bags and bottles, raising awareness about littering and rubbish in the ocean. The murals also show the activities of local people on the islands. The Ly Son Marine Reserve covers 8,000 hectares with many coral reefs and marine life. Fishing activities are banned in the reserve.